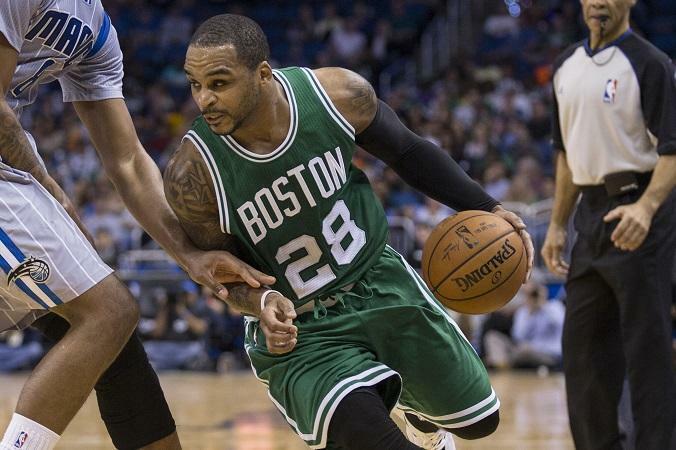 Just hours before he was traded to the Denver Nuggets, Jameer Nelson knew and accepted his fate with the Celtics. Nelson was placed on the inactive list for Monday’s win over the New Orleans Pelicans even though the Celtics had an open slot on their active list. Nelson had not played in the past six games and Celtics team president of basketball operations Danny Ainge was looking for a place for Nelson to spend in a competitive environment. There was no place in Boston for Nelson with the team’s rebuilding project. Ainge sent Nelson to the Nuggets for former Celtic Nate Robinson, according to an NBA source. Yahoo! Sports was the first to report the deal. The Celtics have no plans on keeping Robinson, choosing to buy him out to make him eligible to join a playoff-contending team. Nelson could have been bought out but his $2.7 million player option next season made things tricky. Nelson talked with coach Brad Stevens 10 days ago about his role on the Celtics, which was going to be reduced to being a mentor to the younger players. After missing two games with a foot injury, Nelson did not play in the next four games. Robinson spent two seasons with the Celtics, and he was a member of the 2010 team that reached the NBA Finals. He was traded to Oklahoma City in the deal that involved Jeff Green and Kendrick Perkins. While Tayshaun Prince is officially a Celtic, it is highly unlikely he will ever wear a Boston uniform. Prince’s representatives and the Celtics are negotiating a buyout and the sides are making progress, although nothing is imminent. Prince has a $7.7 million expiring contract that will come off the books this summer. The Celtics could keep Prince and continue to pay him while having the veteran occupy a roster spot but he is interested in playing for a contender. The Celtics are interested in buying out Prince to retain their roster flexibility. Austin Rivers is also a Celtic and Ainge is trying to find a trade partner for the former 10th overall pick. The Los Angeles Clippers remain interested but they don’t have any assets the Celtics desire. The Clippers don’t have an expiring contract to match Rivers’s salary, meaning a third team is likely going to have to be involved. There is also a possibility that Rivers could eventually join the Celtics if a trade is not made. When the Celtics waive Robinson, it will create an extra roster spot that could allow the club to add a player with a 10-day contract. Ainge does not want to acquire any contracts beyond this season, making some trades more difficult for Rivers. Gary Washburn can be reached at gwashburn@globe.com. Follow him on Twitter @GwashburnGlobe.